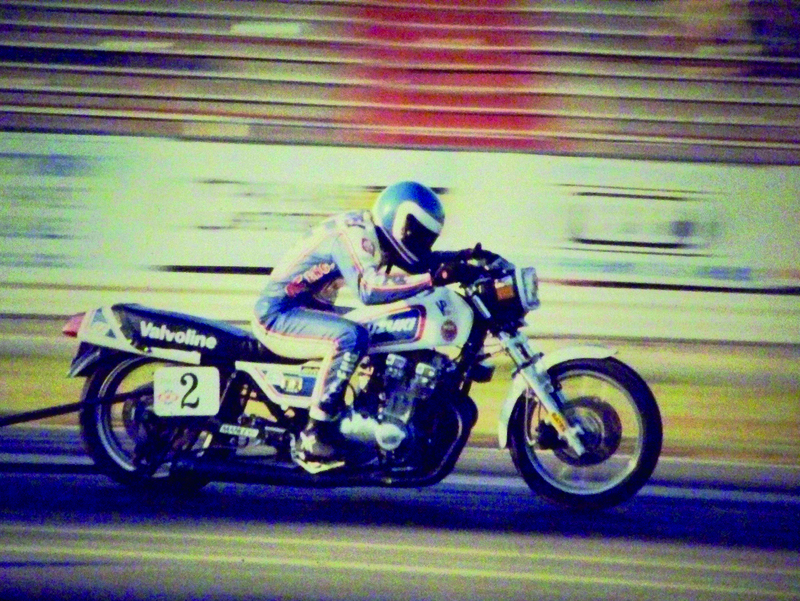 Motorcycle drag racing legend Bob Carpenter has been involved in a lot of unique projects throughout his more than 40 years in motorsports. The cylinder head expert’s latest endeavor is unlike any he’s ever been a part of before. 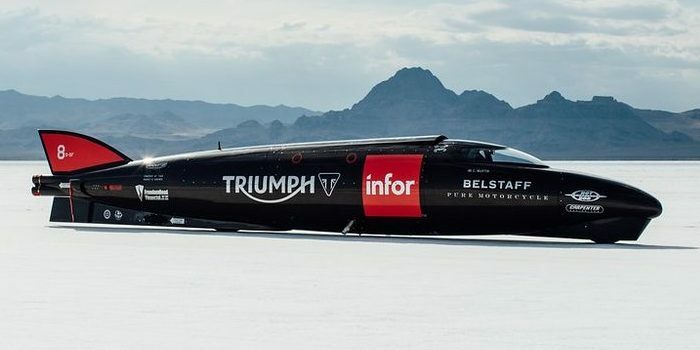 The former NHRA champion has now turned his attention to a 25-foot long Triumph streamliner and an opportunity to break a world speed record. 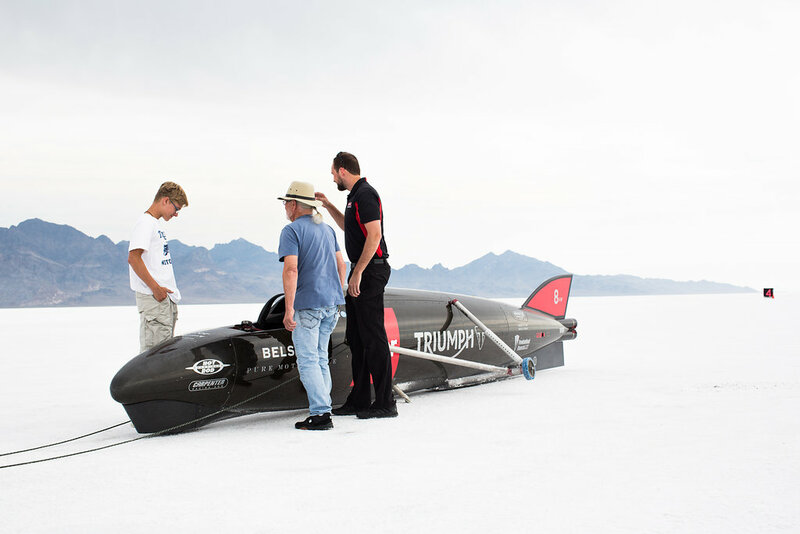 The marvel of engineering showcases a pair of turbo-charged engines, heavily modified engines with shortened stroke and a ton of carbon fiber. Primarily a Suzuki and Kawasaki guy for most of his career, Carpenter got involved in the Triumph motor a few years back and found tremendous success at the Brute Horsepower shootout at Daytona’s Bike Week. It’s a project that has required a lot of innovation. Thinking outside of the box is nothing new for Carpenter. Contrary to the norm, the multiple-time drag bike racing champion and builder says he stopped using his flow bench 20 years ago. That is about as much of a peek behind the curtain of Carpenter’s speed secrets that he wishes to reveal. 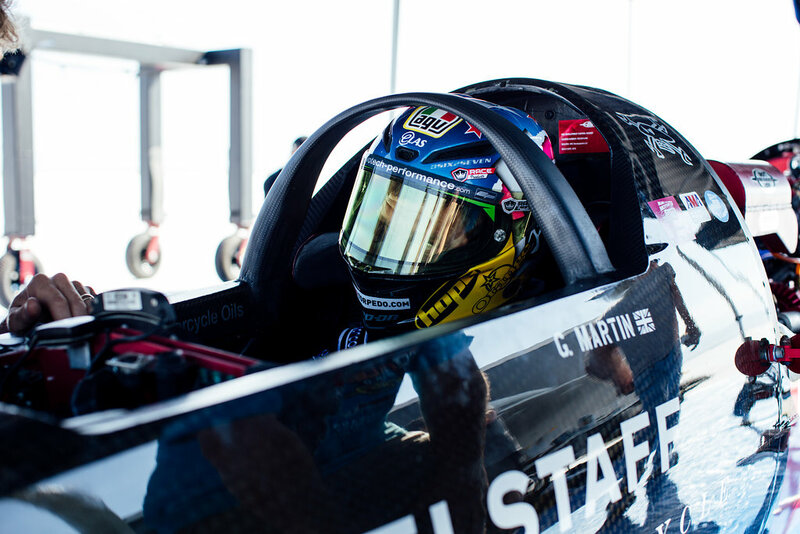 It’s this unique and contrary-to-popular-belief way of thinking that helped earn Carpenter two NHRA Pro Stock Motorcycle championships against some of the sport’s greatest racers. In one of his most memorable finals he beat the legendary Terry Vance in the final at Ontario Speedway before they closed it up. To this day, it’s what Carpenter is most proud of. “Building our own engines in Pro Stock and going against the heavily sponsored teams with next to nothing,” Carpenter said with a smile, when asked to recant his fondest racing memory. 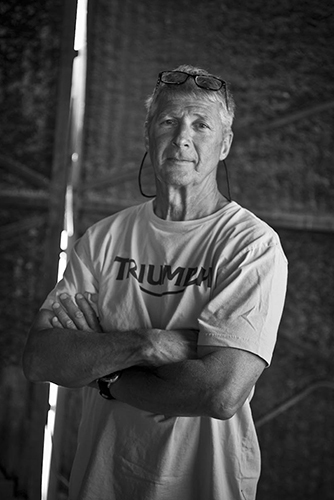 Carpenter became renown for his Pro Stock Motorcycle expertise. He also found success in the AMDRA and NMRA on four and two-stroke motorcycles. It wasn’t long before his his high-horsepower cylinder heads rose to popularity as well. Today Carpenter is the largest seller in the Arab world of Hayabusa race engines and cylinder heads, producing some of the fastest naturally- aspirated motorcycles in the world. But now the focus and goal is all about 376 mph. 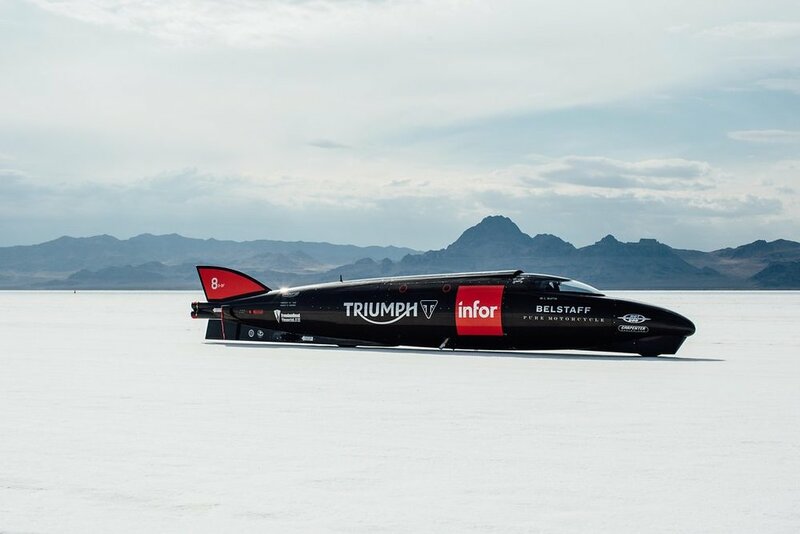 At a test session in late August the rookie rider Guy Martin laid down a very optimistic run of 274 mph. Carpenter says the key is to see how the streamliner will perform when it’s not being restricted by throttle and boost. Carpenter also says the team experienced so many problems and have so many bugs to work out, breaking 270 mph was a real accomplishment. At a late September test session conditions proved to be worse. 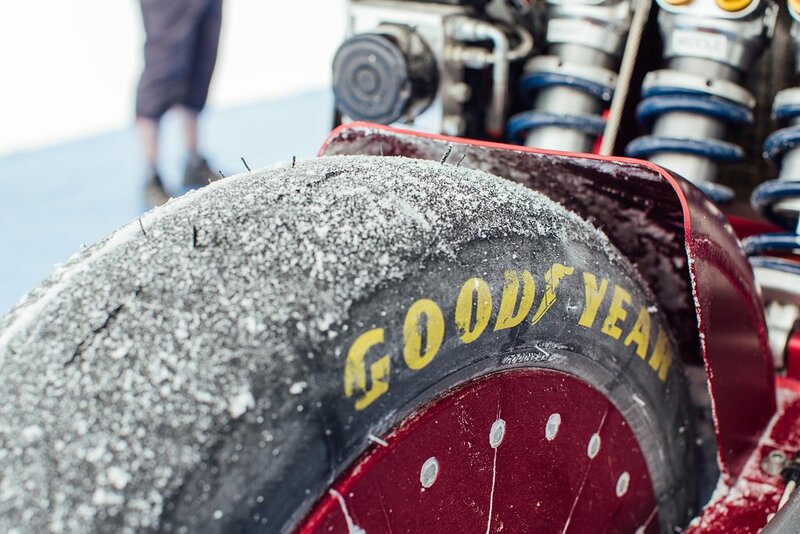 Crunchy salt collects on the slicks of the Triumph streamliner. The team is continuing it’s thorough research and development and hoping for better conditions moving forward. Awesome article about an awesome guy!! Awesome article about an awesome guy!